Hypoxia-ischemia (HI) may play a significant role in motor neuron death associated with the pathology of spinal cord injury and, perhaps, amyotrophic lateral sclerosis. The present study employs an in vitro model of HI to investigate the role of a stress kinase pathway, i.e., p38 MAP kinase, in cell death signaling in a motor neuron cell line, i.e., NSC34, subjected to oxygen-glucose deprivation (OGD). Although the neurons were essentially tolerant to either hypoxia (0.2% O2) or low glucose (1 mM) alone, more than 60% of them died in response to combined low oxygen and low-glucose exposure. 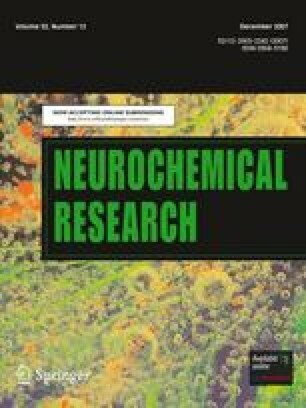 Minocycline, a semi-synthetic tetracycline known for its neuroprotective effects in models of neurodegeneration, afforded substantial (∼50%) protection against hypoxic cell death, assessed by lactate dehydrogenase release and flow cytometry, while suppressing OGD-induced p38 MAP kinase activation. An inhibitor of p38 kinase, SB203580, as well as siRNA-mediated down-regulation of p38 kinase elicited an almost complete blockade of OGD-induced cell death. The use of p38 isoform-specific siRNAs further revealed preferential involvement of the α over the β isoform of p38 MAP kinase in hypoxic neuronal cell death in our model. This work was supported by NIA grant P01 AG 023630 and a pilot grant from South Carolina spinal cord injury research fund.